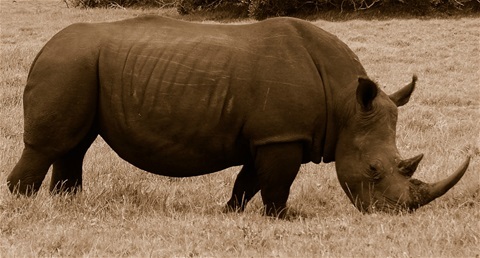 The Department of Environmental Affairs is concerned about the ongoing scourge of rhino poaching. To date, a total of 135 rhinos have been killed for the illegal trade in rhino horn. However, the department is encouraged by the increasing number of arrests and convictions made so far to counter rhino poaching. Since January 2012, a total of 89 suspects have been arrested and others have already been sentenced and are serving prison terms. Kruger National Park continues to be the biggest victim of the senseless rhino killing. Last week, a suspected poacher was shot dead in the Kruger National Park and two suspects were arrested. In addition, a fifth KNP official stationed at the Pretoriuskop section of the park has been arrested. SANParks in conjunction with SAPS are working flat out to determine if links exist between other internal suspects in relation to the two rhino killed in Pretoriuskop last month. A total of 75 rhinos have been lost to poaching in the Kruger National Park this year.